Electricity is a basic commodity in the 21st century and scientists are constantly searching for new and improved means of generating it. We require power for our everyday use gadgets; from trimmers to televisions and mobile phones to laptops.Today we will be talking about a company that has come up with an innovative power source for us. Founded by a group of MIT and Harvard colleagues in 2010, Altaeros Energies has developed a floating wind turbine and after successful testing, the team is confident that the new project of company could in fact become a popular power source in future.It wont take you long to understand why this floating wind turbine is an amazing project! Okay, so, we all know that wind currents high above ground are much stronger compared to those that move relatively closer to ground. The team at Altaeros Energies used this fact to their advantage and came up with this proposal. 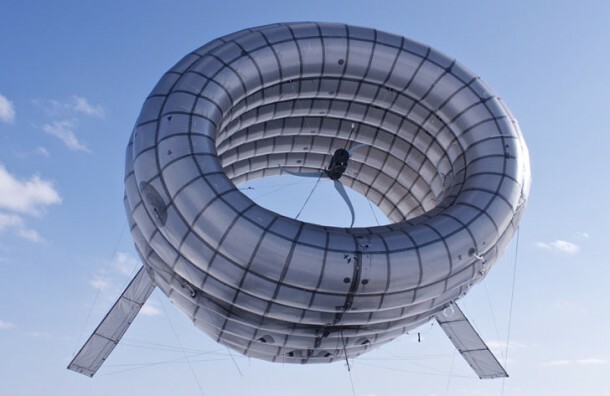 The idea is to use a helium filled tube shaped balloon to lift the turbine off the ground to a much higher height than conventional windmills. Ideally, we are talking about a height where the wind currents are strongest. One may ask the question; how will the position of the turbine be maintained? A valid question indeed and one that the team at Altaeros Energies has already entertained. The airborne wind turbine will be held steady by making use of strong tethers which will also transfer the electricity generated to ground. The inventor, Ben Glass had some interesting things to say about this peculiar invention through a recent press release; “For decades, wind turbines have required cranes and huge towers to lift a few hundred feet off the ground where winds can be slow and gusty.” It has been discovered that higher altitudes are much more efficient as far as wind currents are concerned. Higher altitudes offer upto five times stronger winds that are also consistent. Moreover, they are quickly deployable so you don’t need to wait for a long time before your turbine starts generating. We mentioned that the team conducted successful tests of first prototype. Let’s see where was the test conducted and what were its findings. A 35 ft scale prototype was used for the test at Limestone, Maine. The prototype rose up to a height of 350 ft from ground level, generated electricity and landed successfully as part of an automated cycle. 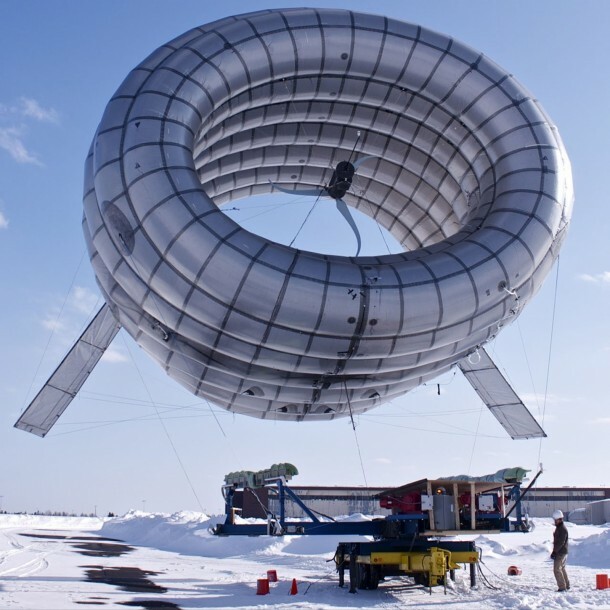 The press release revealed that this prototype was able to produce more than twice the power at its current altitude than any conventional tower height turbine. 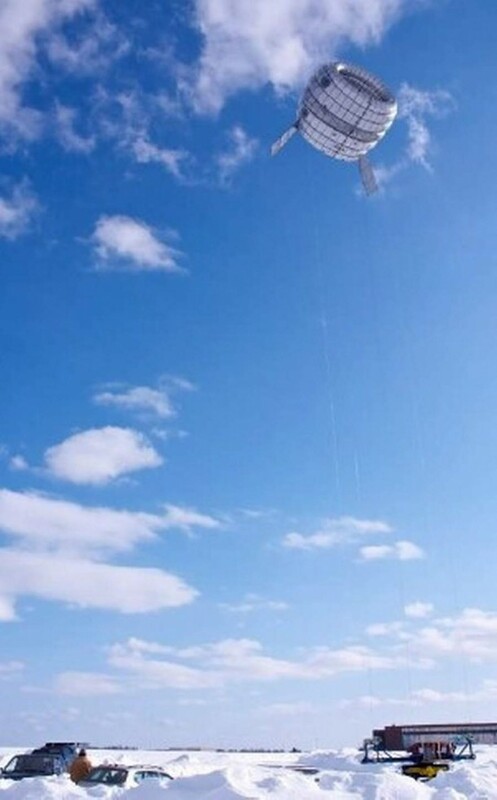 Some obvious advantages of this wind turbine include; very little noise, doesn’t require much of a land, can be used anywhere since the currents are available at height regardless of the ground location and the whole setup requires minimal maintenance. However, how this would affect birds or other aerial vehicles is still unknown. All in all, a great idea if it can be pulled off commercially. Let’s see what the future holds for this project. How do you purchase one and what is the cost. Purchasing land without access to power lines and looking to power 10 to 12 buildings. Helium is in short supply. The lightning questions are interesting. Capture and store lightning would be incredible! We certainly have the air space to pull this off. Could be interesting as a sail and power producer where the prevailing winds are in favor to haul large ships across the oceans. This idea is great, keep going we hope soon we get the use of this concept to the society. ery interssting projet what about lightning and thunder? please write me back. and how much would this coust? and how much power can it produce? Engineering is very broad in scope and very much interesting in the beginning and in the future. Different ideas and new inventions come out of this world due to engineering innovations, the works of geniuses. What happens in a storm? doesn’t look like it is going to survive much of a beating. I remember seeing a show on the discovery channel showing the first prototype of the flying windmill a few years back. Do you know if this is a continuation of the same project or something different? likes your good work but wants to know how much one will cost. I’m a nurse but will like to have working experience with your institute in the near future. Thank you. I really love your site , i have been following you on Facebook for a long time. I really appreciate you bring so much of innovative and informative stuff for us. Very interesting Wonderful Engineering, there are many new technology, innovation, and applied technologies here.